With the release of the new E36, in 1992, the next modification of the BMW M3 sport appeared. 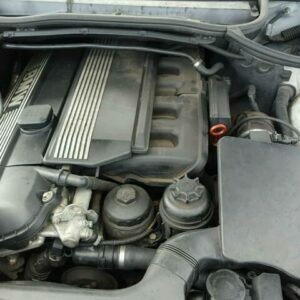 This car has noticeably added in size and weight, respectively, the old four-cylinder engine S14B25 could not give the EMKu due level of dynamics. It was decided to install a larger and more powerful power unit. 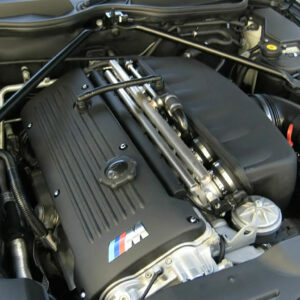 The new engine of the BMW M3 E36 was named S50B30 and was developed on the basis of the six-cylinder M50B25. This motor replenished the M50 series (it also included the M50B20 , M50B24, M50B25 and S50B32. Engineers at BMW Motorsport GmbH took the standard M50B25 engine and installed a new cast-iron crankshaft in the cylinder block, with a piston stroke of 85.8 mm, and also increased the cylinder diameter from 84 mm to 86 mm. The connecting rods S50B30 have a length of 142 mm, their strength is increased, the pistons are lightened, their compression height is 31.6 mm, and the compression ratio has increased to 10.8. This allowed to increase the working volume up to 3 liters. 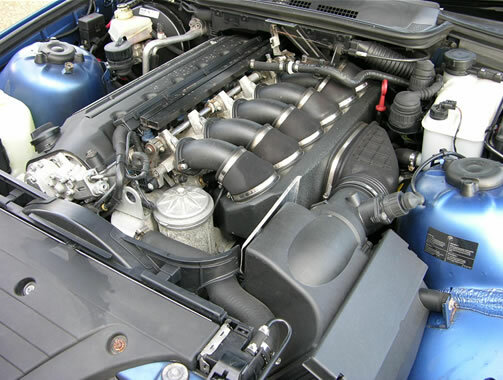 The cylinder head in the S50 underwent a significant refinement: the VANOS system with continuous change of valve timing on the intake shaft was used, the camshafts themselves were new (phase 260/260, lift 11.3 / 11.3 mm), valves were replaced (the diameter of the intake valves was increased to 34 mm, exhaust valves the diameter remained the same), installed rigid valve springs, the porting of the cylinder head was made. The engine received a 6-throttle intake system, dual-mass flywheel, a new sports exhaust system and many other less significant elements. Control System S50B30 – Bosch Motronic M3.3. These modifications made it possible to remove the power of 286 hp from 3 liters of working volume. at 7000 rpm and torque is 320 Nm at 3600 rpm. It is worth noting that, due to high environmental standards, the above-described version was not supplied to the North American market (except for 45 cars) and another model of the E36 M3 engine was produced for the USA and Canada. This motor wore the S50B30 US index and was developed based on the M50TUB25. Its connecting rods are 135 mm long, and the piston compression height is 32.8 mm, the compression ratio is reduced to 10.5 units. The cylinder head S50B30 US is distinguished by a two-stage VANOS, camshafts (phase 252/240, lift 10.2 / 9.7 mm), the presence of hydraulic compensators. Also, these motors are not equipped with a 6-throttle inlet. As a result, the S50B30 US has significantly less power – 243 hp. at 6000 rpm, and the torque is 305 Nm at 4250 rpm. Together with these two models, other, more rare models were also produced: for the E36 M3 GT model, the S50B30 GT engine was produced, featuring different camshafts (phase 264, lifting 11.25 mm), modified by VANOS, new firmware and other innovations. All this allowed to remove 295 hp at 7100 rpm, torque increased to 323 Nm at 3900 rpm. 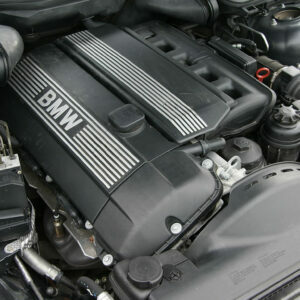 The highest power was removed from the S50B30 engine for the BMW M3-R E36. 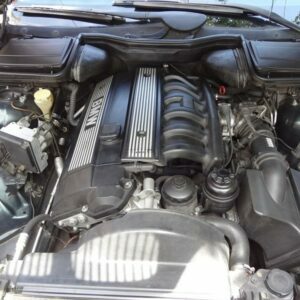 These models were supplied for the Australian market and, thanks to a modified intake-release and evil camshafts, developed a power of 324 hp. at 7200 rpm, torque – 350 Nm at 4400 rpm. This power unit was used on cars BMW M3 E36. In 1995, the engine S50B30 was replaced by a new, more powerful and surround S50B32. The S50B30US version has been replaced with S52B32. The faults of this power unit are, by and large, similar to those found on the entire 6-cylinder M50 series: overheating, oil consumption, intermittent problems with vanos, leaks, unstable speed, intake air leakage, and so on. The problem with the triple almost solved. It is worth remembering that cars with such engines for quiet operation do not buy and given his age, he is worn out a little less than completely. Therefore, buy S50B30 half the case, the main spending will be ahead. For greater efficiency, you need to remove VANOS (there are corresponding whales), then buy Schrick 316/308 camshafts, tappets, springs, enlarged valves, make the cylinder head porting, buy airbox, 440 ss nozzles. This will allow the engine to spin up above 9000 rpm and get more than 350 hp. Stock engine S50B30 has a high compression ratio and to reduce it, you need to buy CP pistons (compression ratio ~ 8.5), Carrillo H-Beam connecting rods, steel gasket for VAC cylinder head studs and ARP studs. This will allow several to prepare the engine for supercharging. It would be nice to purchase camshafts from the M3 GT (phase 264, lifting 11.25 mm), Walbro 255, injectors 750 ss, boost controller, Garrett GTX35 turbine, wastegate, make a collector to the turbine, flash the brain. Alternatively, you can search for ready-made turbo whales. Those who do not need high power may like the version with a compressor. Both new and maintained whales exist on the market, increasing power from 350 to 450+ hp.